This milestone is an important step in the ongoing effort to repair and restore one of the U.S. Navy’s most capable platforms, and reflects nearly a year’s worth of wide-reaching and successful coordination across multiple organizations. 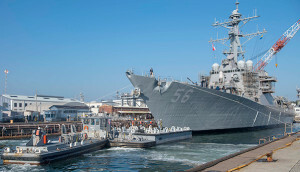 The ship entered dry dock at the Navy’s Ship Repair Facility and Japan Regional Maintenance Center (SRF-JRMC) Yokosuka in February. To begin the repair and restoration effort, the Navy immediately reached out to personnel at Bath Iron Works (BIW) in Bath, Maine. BIW is the company that originally constructed the ship and currently serves as the planning yard for work on in-service Arleigh Burke-class destroyers. The BIW employees worked alongside representatives from Naval Sea Systems Command’s (NAVSEA) Supervisor of Shipbuilding, also in Bath, Maine, to conduct a material assessment of the ship. That information was then used by SRF-JRMC and the local Japanese repair contractor, Sumitomo Heavy Industries, to plan and swiftly execute the work ahead. The McCain crew has been involved in every aspect of the availability. 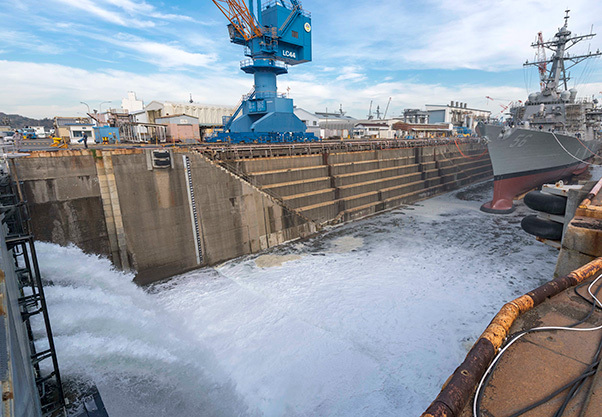 Today, McCain has a fully restored hull, a new port thrust shaft, and newly constructed berthing spaces. The ongoing availability also includes completing maintenance work that had previously been deferred, which reflects the Navy’s commitment to ensuring that required maintenance on ships is no longer deferred. 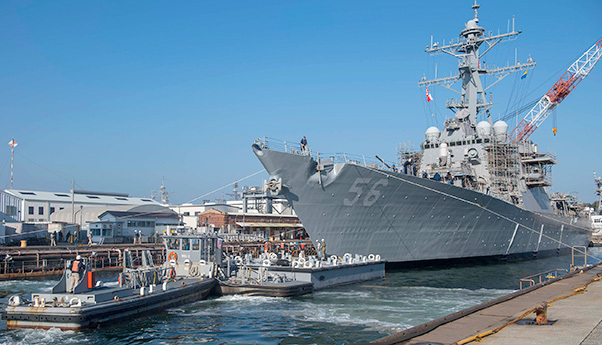 Additionally, the U.S. Pacific Fleet implemented a new force generation model to protect maintenance, training, and certification requirements prior to operational tasking for ships forward-deployed to Japan, like John S. McCain. The ship’s crew worked alongside personnel from NAVSEA’s Naval Surface Warfare Center (NSWC) Philadelphia and Port Hueneme divisions who were challenged to develop a test plan concurrent with repair efforts. The complex repair and restoration required support and collaboration from all aspects of the U.S. Navy maintenance enterprise, including NSWC Philadelphia and NSWC Port Hueneme; Engineering Directorate (SEA 05); Deputy Commander for Surface Warfare (SEA 21); Commander, Navy Regional Maintenance Center (CNRMC); Southwest Regional Maintenance Center (SWRMC); Southeast Regional Maintenance Center (SERMC); Mid-Atlantic Regional Maintenance Center (MARMC); Puget Sound Naval Shipyard (PSNS); and Forward Deployed Regional Maintenance Center (FDRMC) Naples and Rota detachment. Over the next few months, efforts will focus on testing the repaired ship’s systems in preparation for a return to operational tasking. The Navy’s enterprise leadership continues to make improvements with routine, close oversight provided by the fleet commanders and the Navy staff to generate ready ships and aircraft on-time and on-plan. Improved ship-class maintenance plans are capturing a more robust understanding of fleet maintenance requirements, and the elimination of work deferrals are improving the material condition of the fleet. This summer, Secretary of the Navy Richard V. Spencer inducted Sen. John S. McCain III into the ship’s official namesake alongside his father and grandfather in a ceremony on board, July 12. 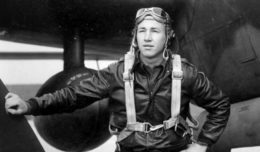 The crew’s messdecks, known as the Maverick Café, re-opened for business on Nov. 19, the late Senator’s birthday. John S. McCain is forward-deployed to Yokosuka, Japan as part of the U.S. Seventh Fleet. The ship is expected to complete repairs in late 2019.